The announcement comes on the back of a strategic partnership between PTC and ANSYS, makers of Discovery Live, back in June. PTC, the software company known for its Creo CAD program, recently acquired Frustum Inc., a generative design software company, for approximately 70 million USD. 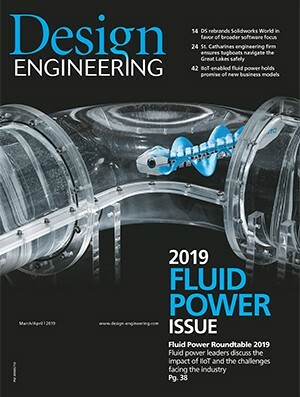 In practise, the generative design process gives engineers the ability to specify the functional requirements and goals of their design, including preferred materials and manufacturing processes. Beyond that, generative design moves past the physical design process, taking into consideration third-party factors influencing the design, including things like purchasing decisions, manufacturing capacity, supply chain status, and regional-required product variances. For PTC, Frustum will allow PTC customers to make more complicated geometries when it comes to additive manufacturing, while side-stepping steps for manual optimization which allows PTC to deliver products faster. Earlier this year, in June, PTC entered a strategic partnership with ANSYS, the makers of Discovery Live, a CAD-related program that allows users to visually assess the impact of design changes as they are made. The first commercial product borne from the partnership will combine Creo with Ansys’ Discovery Live. It facilitates static, structural, thermal, and modal simulation in real-time. A PTC rep stated additional functionality will be added over time, with the goal of embedding increasingly advanced simulation capabilities into Creo. For Ansys, the partnership will mean its software reaches a much wider user base.